Want a nice selection of our beef but don't know where you'd store a whole or half cow's worth?... 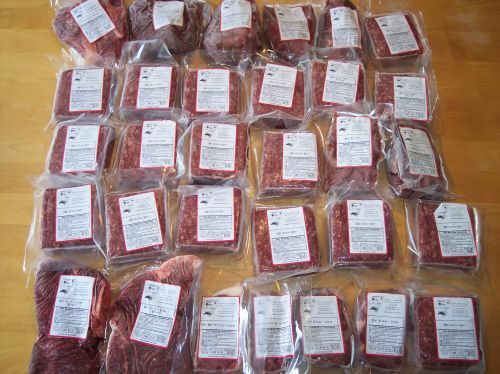 Our 35# Beef Bundles are a great option! Our beef is 100% grassfed, humanely & naturally raised without the use of growth enhancers or antibiotics. * Price is per package and INCLUDES tax! Add 3% if paying with credit/debit card.